Triangular shaped ceiling hanging displays are a great eye-catching promoter in any retail store. Each hanging display features specially molded plastic inner frame that holds 3 separate custom printed thick/laminated PVC plastic panels. Each custom full color printed PVC panel can be different artwork images to create 3 separate promoting messages on each display. 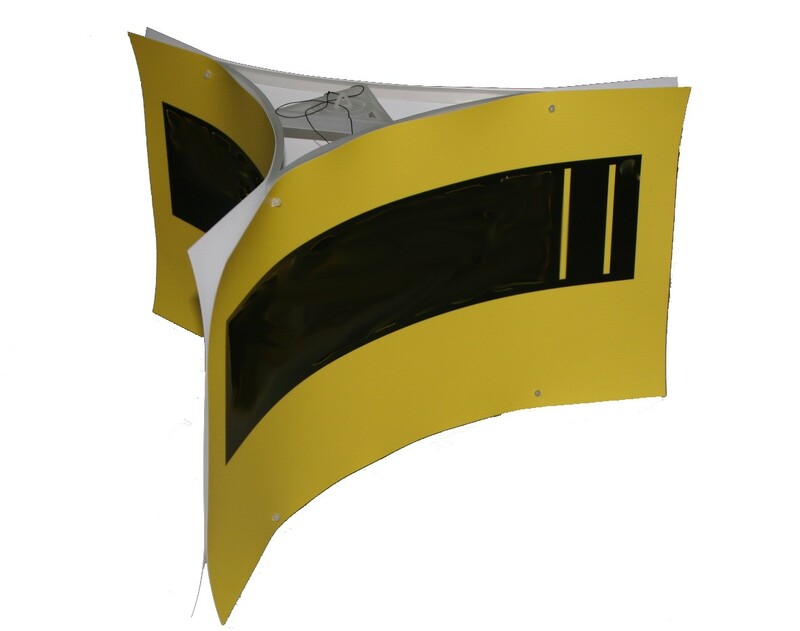 Each panel measures 12”x24”inches and the entire unit measures about 2’x2’ft. Very easy to set up and take down with its simple yet durable design.